Nico Thomas and Friends, is the title of an upcoming 2-day art show which opens at 5 pm on 21 August, at the Grenada National Museum. Thomas, from Saint David, was a teacher of art at the Saint David’s Catholic Secondary School in 2007. 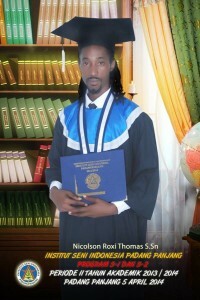 In 2010 he was the first Grenadian recipient of an academic scholarship to Indonesia. He completed a Bachelor’s Degree in Visual Arts with a specialisation in realist expression, relief, calligraphy and sculpting from the Institute Seni Indonesia Padangpanjang. He graduated third in his department from the Indonesia Institute of Art 2013-2014, and is the 11th student overall among all the graduating art students for this period. As one of the top 85 students, Thomas has been given the opportunity to complete a Masters Degree at the Art University in Yogyakarta, beginning this September. This art exhibition, presented by the newly established Sans Souci Arts Studio, is geared to assist Thomas in raising funds towards his study expenses. In addition, Thomas is willing to give an original painting in appreciation of donor support of EC$100 and over, a 5×7 inch painting; of EC$500 and over, a 20×28 inch painting; and for support of EC$1000 and over, a 40×56 inch painting. Save the date: 21 August, 5 pm at the Grenada National Museum. Nico Thomas and Friends. 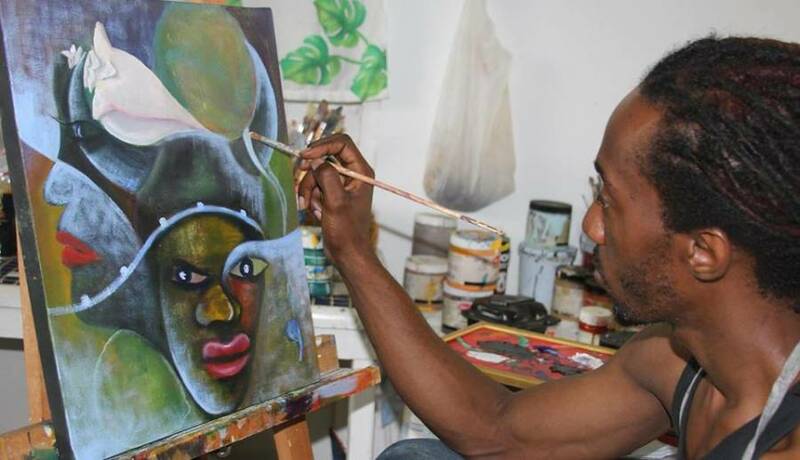 Come out and support a young Grenadian artist to continue his studies.